Dog people are honest, faithful and sincere. They respect tradition and value honor, and enjoy helping people. The Dog is very righteous, and always is the first to speak out against injustice. Dog people are not good at socialising with friends, and they rarely shine in company, but they are intelligent, caring and a good listener. Loyal, faithful and honest, they have the most profound sense of duty. You can count on them and they’ll never let you down. And as a good listener, the Dog is also very reliable in keeping secrets for others. They simply don’t like to gossip. Dogs are loyal, truthful and live by their own uncompromising code of ethics. While very trustworthy, they do find it difficult to trust others. Dogs are faithful friends and exceptional listeners. They are the caped warriors of the Chinese Zodiac in that they will fight injustice and side with the underdog anytime, anyplace. Dogs can be very rigid in their thinking and behavior. They also tend to be moody and need time alone to sulk and revitalize. Dogs are slow to trust, but with time and evidence that someone is trustworthy they will warm up to them. They can get along in harmony with those born in the year of the horse, snake, monkey, pig, or even the dog, but not the ox or goat, and especially not the rooster. They collide with those born in the year of the dragon and never trust them. Dog and RAT: Have respect and admiration for one another. No serious differences or personality clashes. Could have good teamwork in common aims. Dog and OX: Do not have many areas of similar interest. Some communication gaps and unsympathetic feelings. Will not relate very well together. Dog and TIGER: Excellent math. No difficulties in communication in this union. 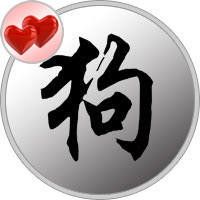 Will achieve success and prosperity in love or business relations. Dog and RABBIT: Highly compatible and rewarding relationship. Deep trust and affinity for one another. Will find prosperity and happiness together. Dog and DRAGON: Serious clashes and strong conflicts. Cannot comprehend or trust each other. Highly incompatible. Cannot see eye to eye. Dog and SNAKE: Mutual respect and certain areas of common interest. No large conflicts. Will cooperate to a good extent. Fairly amicable ties. Dog and HORSE: Very compatible combination. Successful and happy relations in love and partnerships. Deep affinity and permanent bonds for one another. Dog and GOAT: Tolerate each other at best. Have very little in common and no special need for each other’s company. Incompatible team. Dog and MONKEY: Have underlying respect for each other. No clashes of wills. Good and workable relations in love and partnerships. Will cooperate well together. 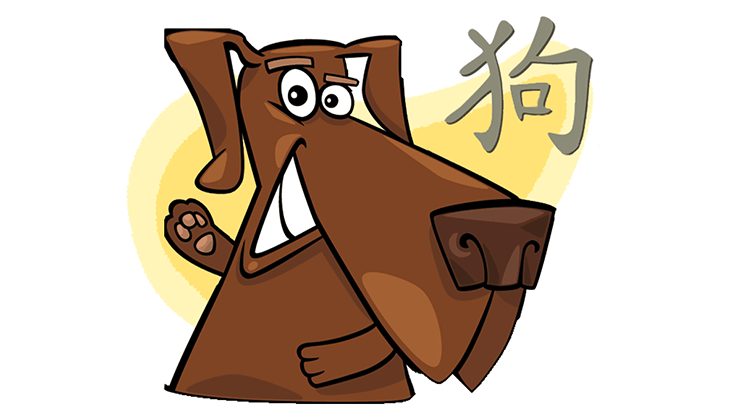 Dog and ROOSTER: Nothing solid or lasting will result from ththis relationship. Some resentment and communication gaps. Moderate to cool ties at best. Dog and DOG: No conflicts. Congenial and cooperative ties. Compatible to a good extent. Will work together amicably for common goals. Dog and PIG: No serious personality clashes. No struggles for dominance. Acceptable and agreeable to a certain degree. A moderate relationship.